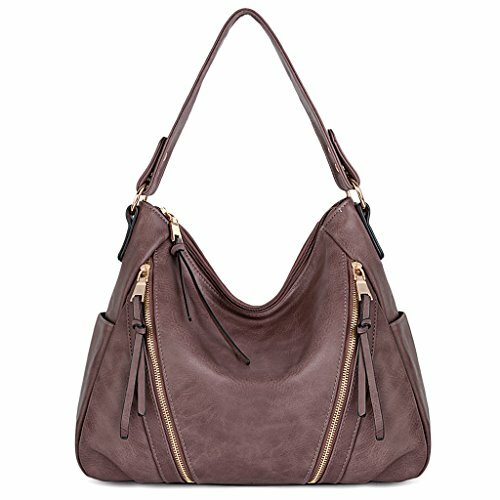 The Scarleton Double Zipper Washed Shoulder Bag is a sturdy yet stylish handbag, the perfect accessory for work or play, spacious and definitely economically priced. This clever design has plenty of organized storage, enough room for your cell phone, wallet, makeup and whatever needs to be handy with ample space for virtually any tablet you have or even a small laptop. When you are always on the go, it's hard to find purses and handbags that are both roomy and gorgeous at reasonable prices. 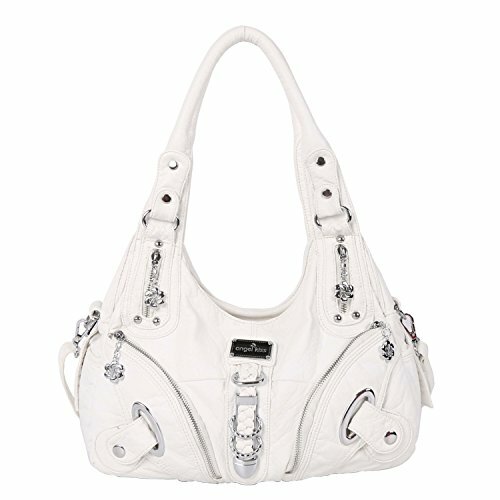 When you are an active fashionista, and need your essentials handy, you will love this purse. Fashionable, affordable and convenient, you'll want one in every color! Please note: The handbag color may vary slightly from the online image due to monitor color settings. 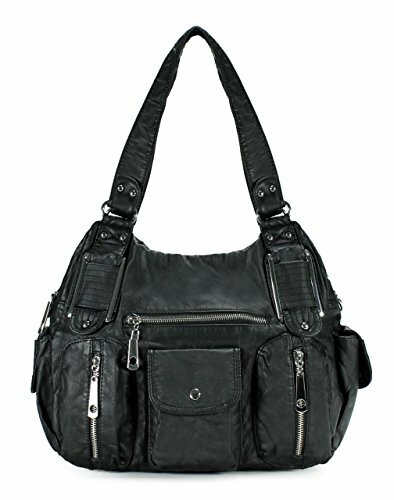 Made of soft PU grain with fabric lining with top zipper closure, fashionable design with simple styling Dimension: Approx.7.5(L)x6.75(W)x4(H) inches, the maximum length of the shoulder strap is about 55 inches, which can be able to adjust as need Interior has big capacity with a small zipper pocket, exterior front has a zipper pockets. You can slip into a phone and hold a few cards, cash, lipstick, keys, tickets and other small items, good for a short travelling Features a unique shape with several pockets for storage and organization, lightweight and easy to carry A great daypack for school, dating, shopping and traveling in daily life. it can also be carried for outdoor activities, such as running, cycling, camping, etc. 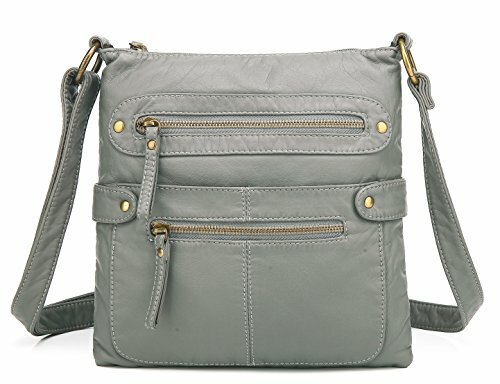 The Scarleton Casual Double Zipper Crossbody Bag is a beautifully designed purse for keeping all your essentials handy. 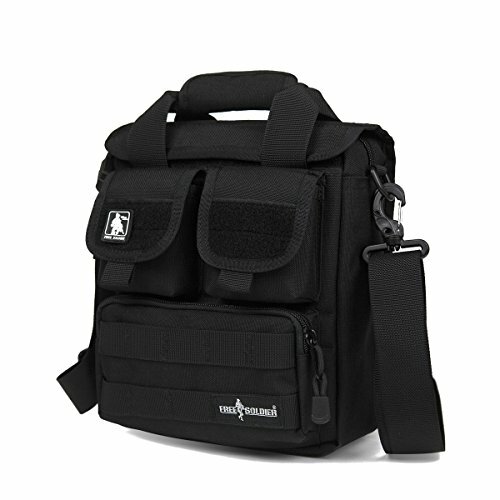 This lightweight functional design has more than enough pockets for anyone, with lots of organized storage, plenty of room for your cell phone, wallet, makeup and toiletries with ample space left. Any active fashionista needs a chic purse with plenty of storage. If you are always on the run, it can be difficult to find the time to hunt for stylish purses and handbags at reasonable prices. Fashionable and convenient and affordable, you'll want a Scarleton bag in every style! Please note: The bag color may vary slightly from the online image due to monitor color settings. purse is a gorgeous eggplant looking with gunmetal accents and plenty of handy compartments for storage. There are two main compartments with 3 total inside sub compartments. 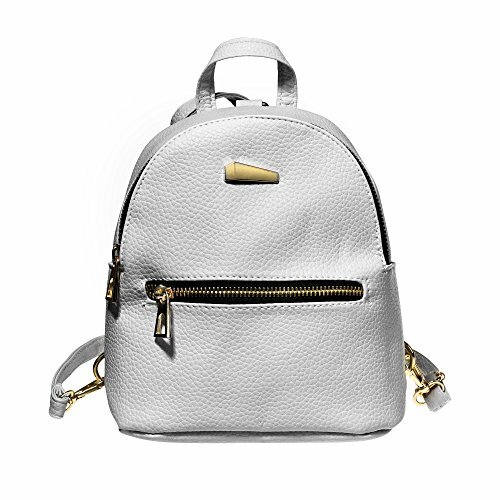 The front outside has 5 small zipper compartments and the sides each have a compartment with a magnetic closure. There is an additional compartment on the back that is large enough for a large smart phone and other personal items. It comes an extra strap to attach that is a shoulder length adjustable strap. It doesn't really have a noticeable odor and the material is soft. Don't miss it! Be the one who will get it!! !Note: Due to screen display variations colors, may appear slightly different than the pictures. ABBY-JOY STROLLER ACCESSORIES PACK includes: - STROLLER ORGANIZER BAG - TWO PREMIUM INSULATED CUP HOLDERS - ONE STROLLER HOOK (for your shopping bags, clothes or toys) - ADJUSTABLE SHOULDER STRAP (converts the organizer to a handbag on the go) - DETACHABLE ZIP OFF WRISTLET PURSE - BACK MESH POCKET (for extra large storage) KEEP ALL YOUR ESSENTIALS EASY TO REACH! BEING ORGANIZED IS ESSENTIAL WHEN YOU ARE A MOM! Our Baby Stroller parent console offers ample storage space for a large selection of items like toys, diapers, phone, keys, drinks, snacks, etc... So, when you are out for a stroll, just TAKE EVERYTHING YOU NEED WITH YOU! TAKE CARE OF YOURSELF AND SAVE YOUR PRECIOUS SECONDS! 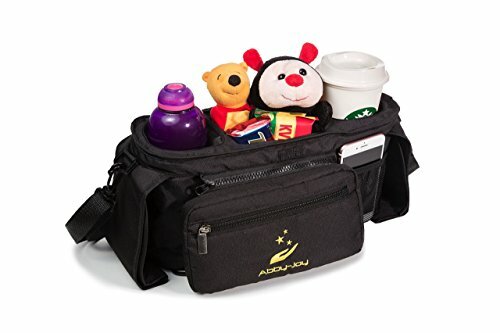 As a mom, your hands are always full of things, so if you wish that your umbrella stroller had more storage room just try our Abby-Joy Stroller Organizer! JUST CHOOSE THE BEST ORGANIZER FOR YOUR CHILD'S STROLLER! USE IT FOR YOUR BABY OR USE IT FOR YOU! 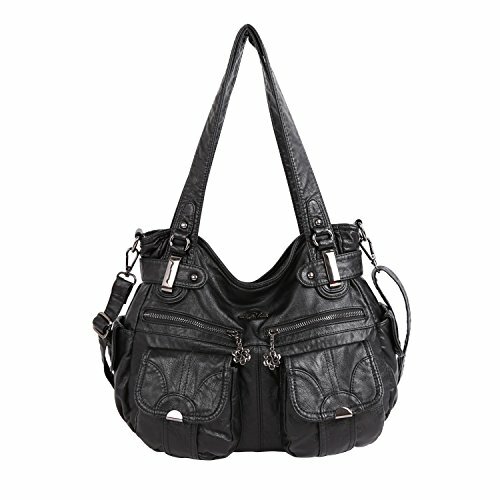 Specification:SIZE: 8.6 * 5.5 * 9.4 InchesColor: Black, MuddyTotal Volume: Approx. 20 LMaterial: 1000D CORDURA fabric & inner coating used 210D water repellent fabric & YKK ZipperKey features:Water repellent lining can protect your value things effectively.Shoulder strap for heavy duty.Sturdy nylon ribbon with hang buckle for easy and long time to use. Multi-function package offer storage for IPad, kettles, files, identification, pistol, survival essentials.Several storage bag on the front side to increase the capacity of the bag, provide plenty of space to fits your all the essential small things.Breathable and shockproof strap with soft cotton lining can reduce shoulder pressure.Double handle design with Velcro, double insurance, easy to use and anti-theft. 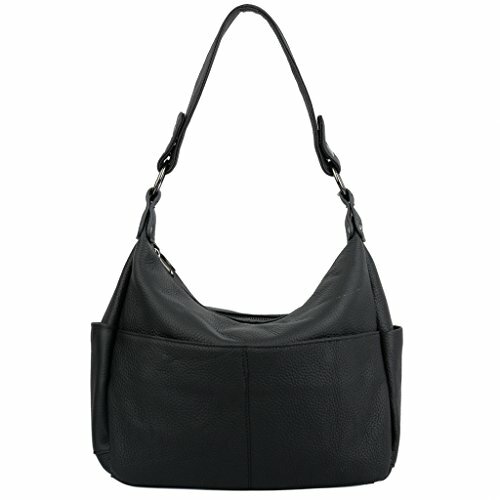 Basic Product Information: This handbag is made by soft PU leather, please note that it is not genuine leather. Color Selection: Red, black, apricot, camel, blue, khaki. Dimension: 12.2*5.90*11.02 inches (L*W*H). Product Weight: 1.98 pounds. Height of Handle: 7.08 inches. Length of Long Strap: From 23.6 to 45.2 inches. Remark: Please allow 1-2 inch size error due to different measurement method. Our Customer Service: If you receive wrong or damaged product, please contact us as soon as possible. We promise that we will be responsible for it. You are welcome to give us your valuable suggestions on our products, we will try our best to improve our products in the future. *About UTOUTO focuses on high quality products, professionalism, and importantly satisfaction.With UTO handbags, no one will need to painstaking search for the agents of beauty and glamour; a great amount of detail was focused on the interior, thus UTO handbags provide easy access for the Modern Woman. *Detail Information-Package: item*1. UTO name tags*1. *NoteThe handbag color might be slightly different from the online photos due to lighting effects/monitor color settings.Any problems, please feel free to contact us directly anytime. It's our pleasure to make our entire customers satisfied and help you solve the problems. Thank you so much. 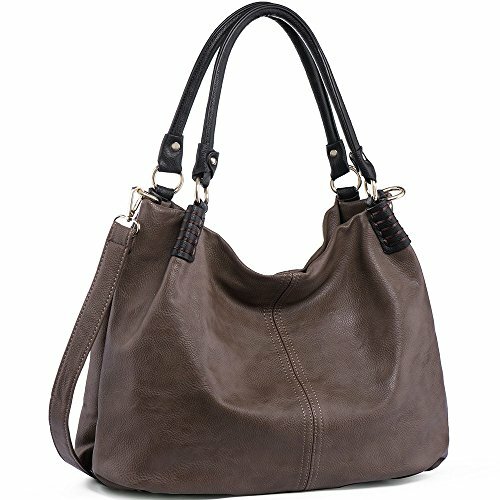 Copyright © Wholesalion.com 2019 - The Best Prices On Double Shoulder Handbag Online.